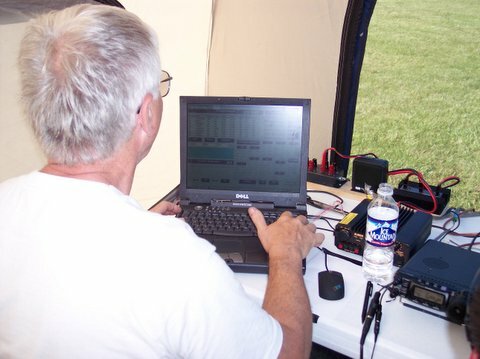 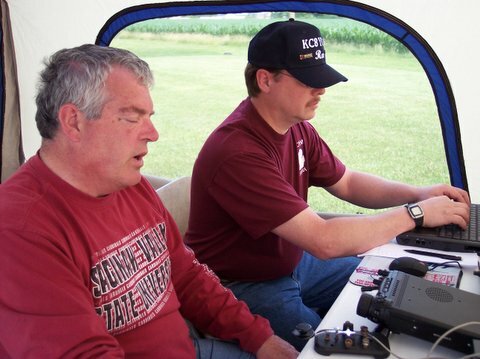 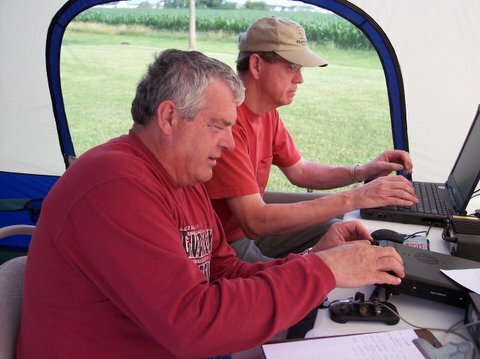 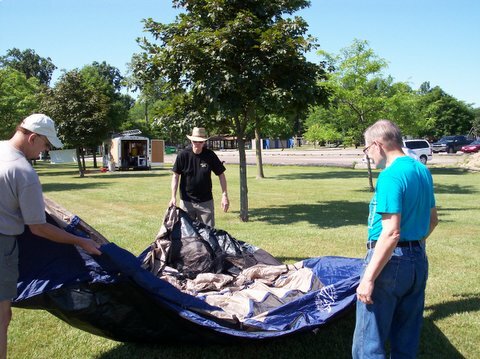 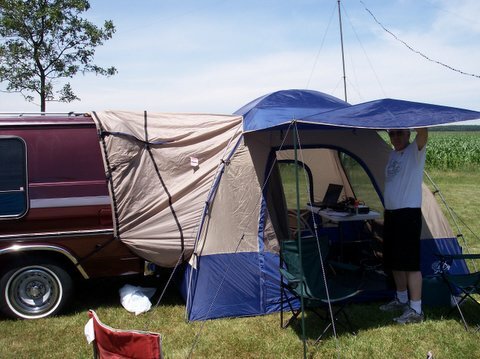 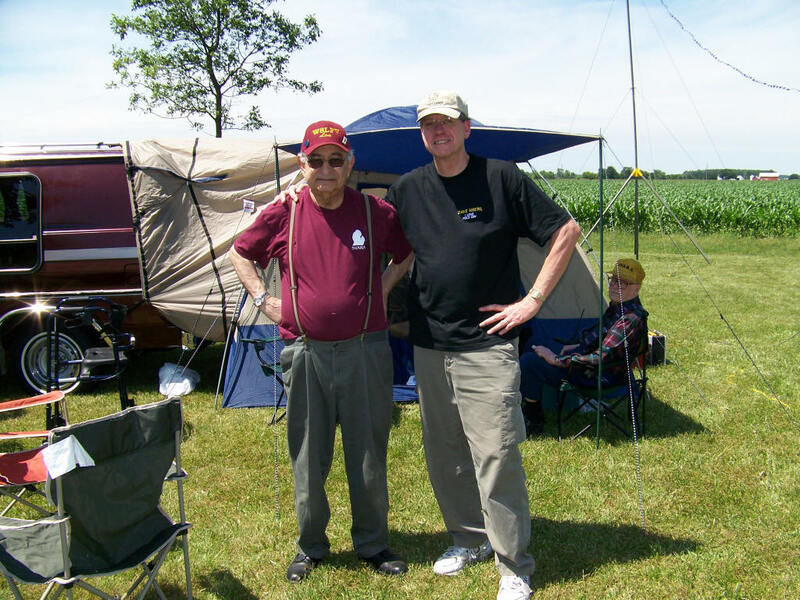 The Amateur Radio Field Day is a time where Radio operators from all over North America (and some other countries too) set up portable radio stations and run them on emergency power. 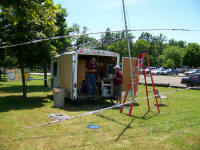 Then they try to talk to as many other radio stations as possible. This year we we will have about 8 radio stations operating, and a special station to let visitors talk to other operators and visitors around the country. 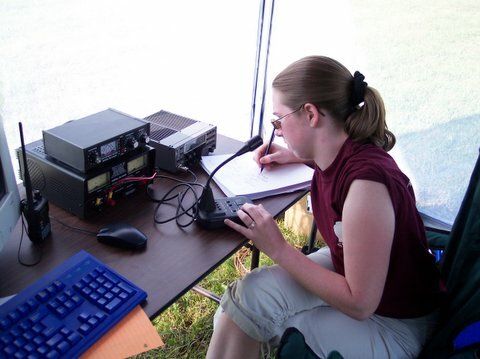 Last year we had a some boy scouts visit -- they got to talk to people on shortwave radio, hear other ham radio operators talk through satellites, and even send pictures through radio waves. 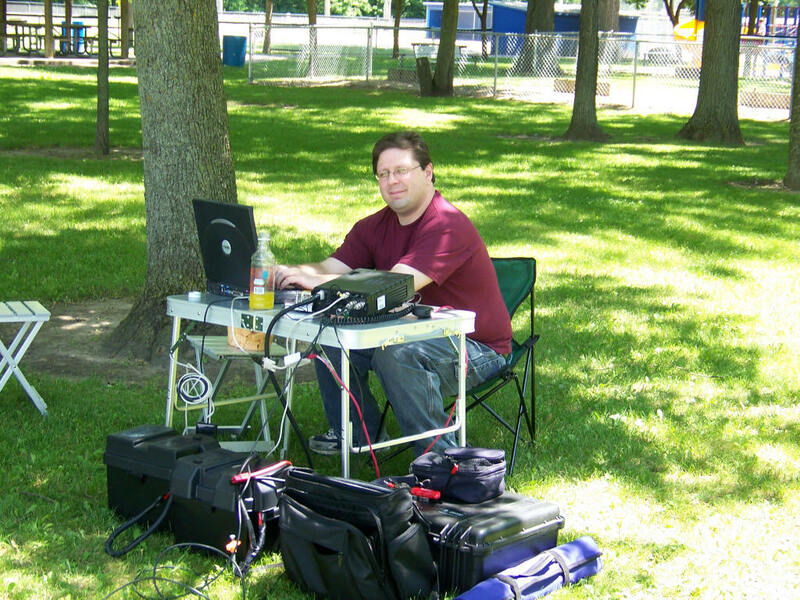 SVARA was blessed with almost perfect weather (heck, it was perfect) for field day 2006. 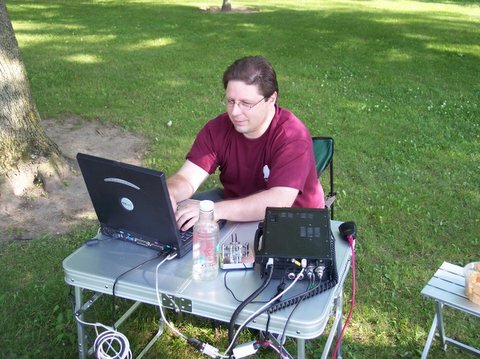 We set up six stations all together. 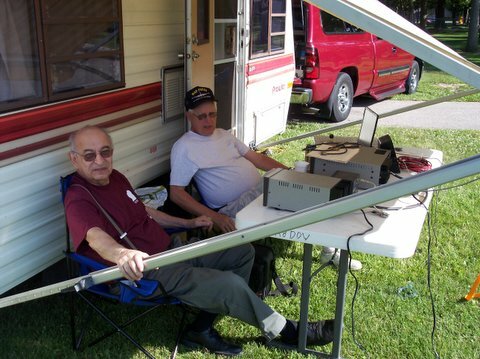 The club trailer had the 20 meter phone station with Roger, KB8QO, and George N8NPW, doing the majority of the contacts; Bill, W8CWD, steadily ran the 40 meter phone station; Lou, W8LPV, did a super job on his first try of running the 15 meter phone station; Keith, N8XD, had a great time using battery power to run his CW, RTTY and PSK station; Bob, N8YXR, and Jennie, KC0RBV set up and ran the GOTA (get on the air) station. 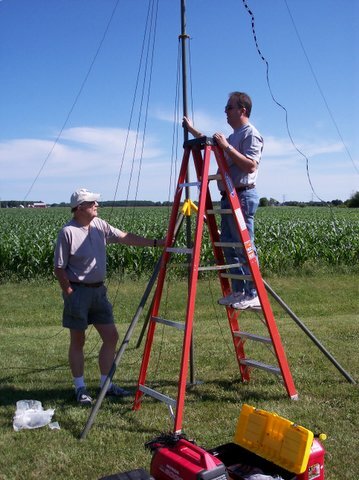 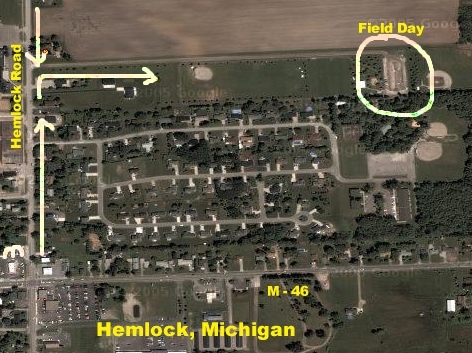 It was their first time setting up a field day station, and they did a great job. 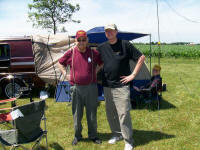 They had several people throughout the 24 hours who got a chance to make some contacts. 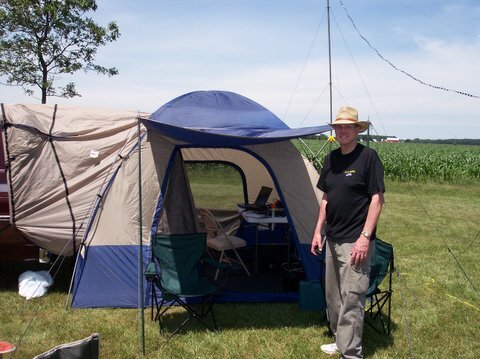 I (N8ERL) ran the 80 meter phone station (my third year, now) and had great help from Don KA8SFQ, and Mike KD8AUZ. 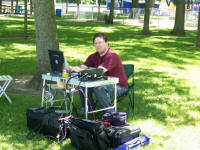 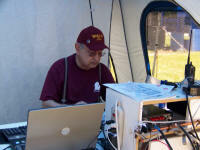 Joe, K8CQF, made a lot of CW contacts using the various stations. 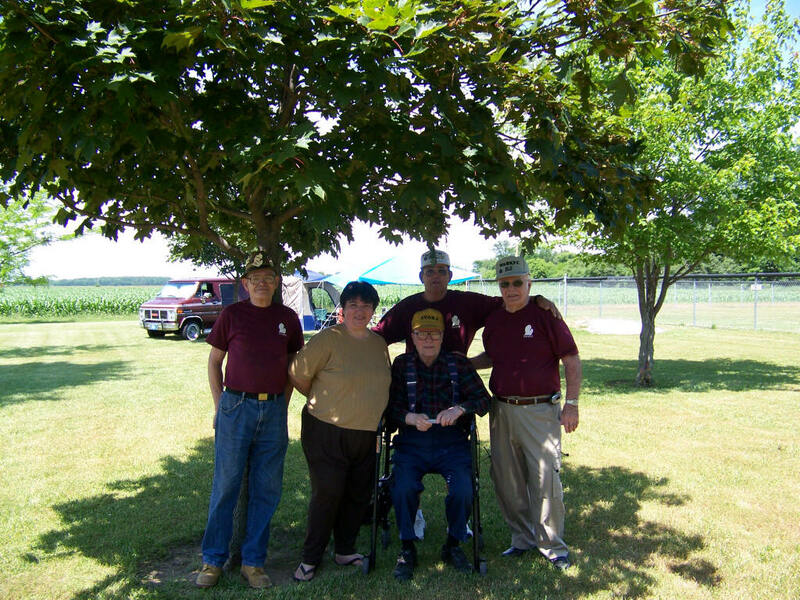 We had a lot of visitors throughout the 24 hours, and I got a chance to meet some people I had not met before. 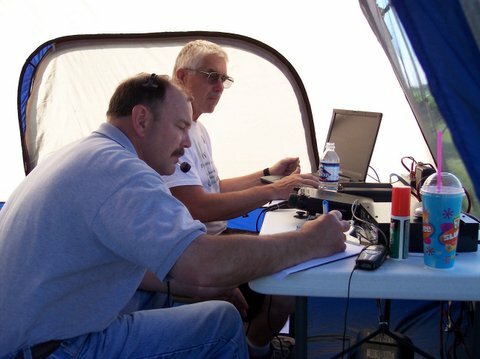 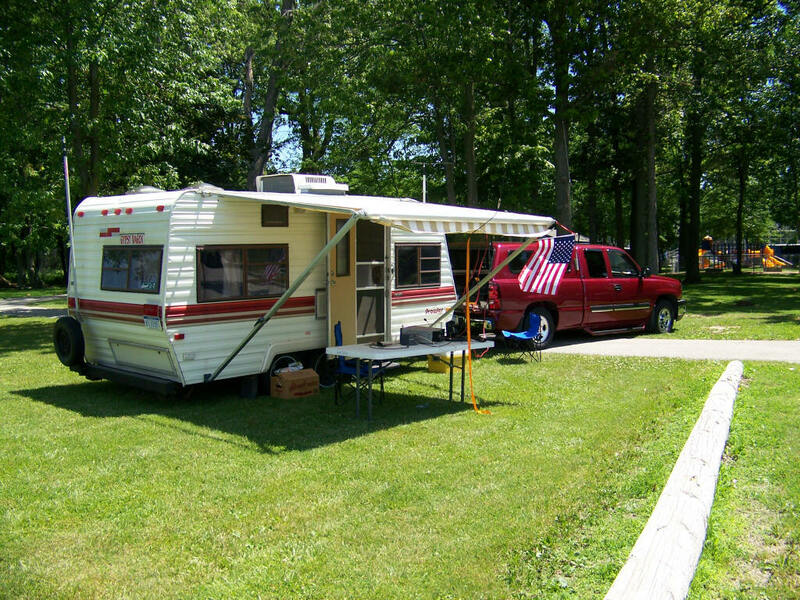 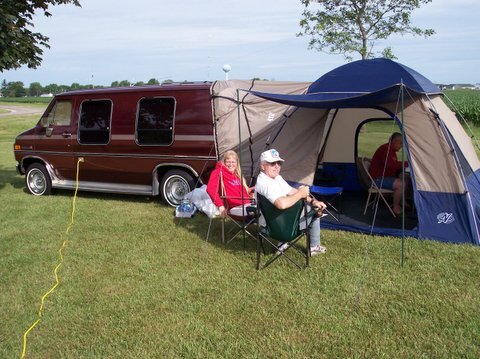 Judy and Jeff (KC8BYI and KC8BDQ) hosted again this year. 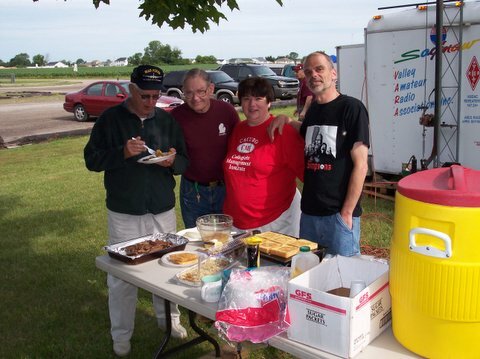 Judy brought out snacks and whipped up some Sloppy Joes for Saturday and Jeff cooked us breakfast on Sunday morning. 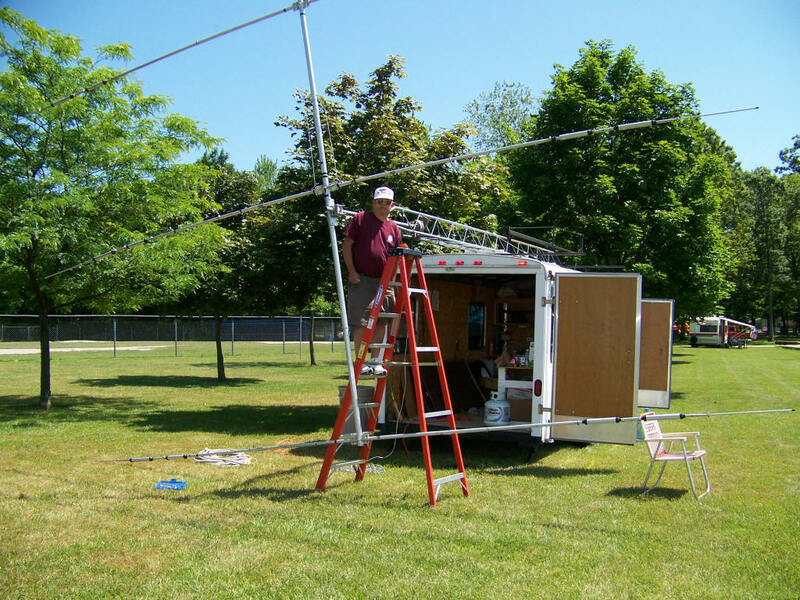 Set up and tear down went well. 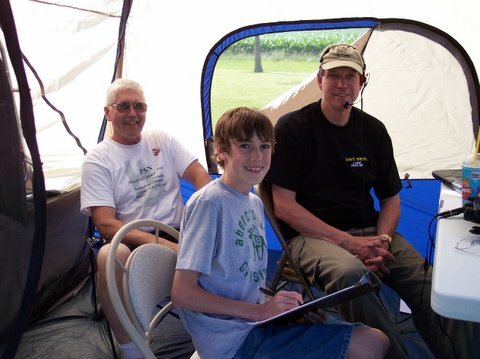 Duane, KD8AUY, and his son-in-law, Jeff were a big help as was Mike, KD8AUZ. 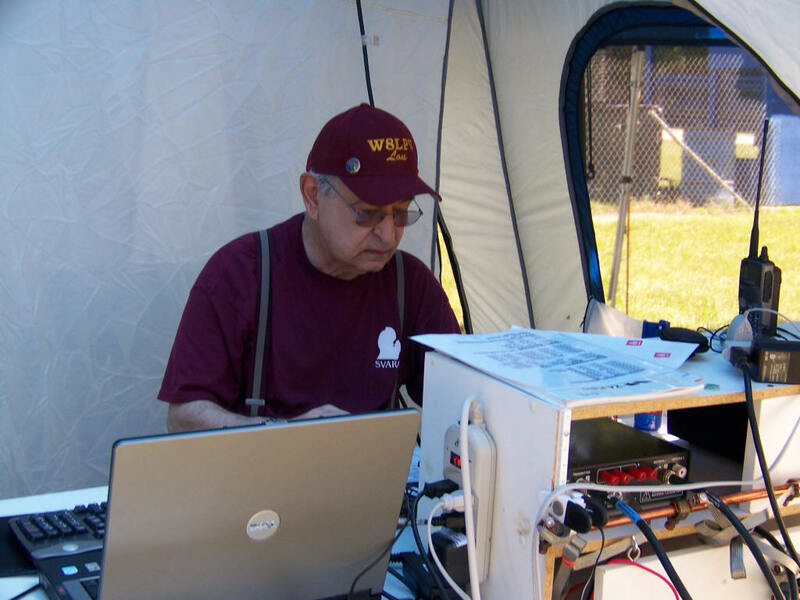 The final total was 621 contacts (455 phone and 166 CW, RTTY, PSK) for a total of 787 points plus we gained some bonus points for various things. All in all it was a great time. 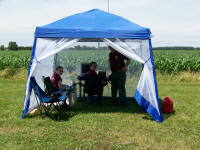 We have room for more stations for next year, so those of you who might want to participate will be more than welcome.